The Mediterranean Sea is where every sailor has to drop his anchor at least once in a lifetime. And if you are not a sailor, then finding a right captain and a boat to take you there is what you need to do. We dare to call ourselves lucky as we have experienced the Mediterranean delights many times. It allowed us to put together our Cruising Guide to France which mainly includes the world-famous French Riviera and the island of Corsica. 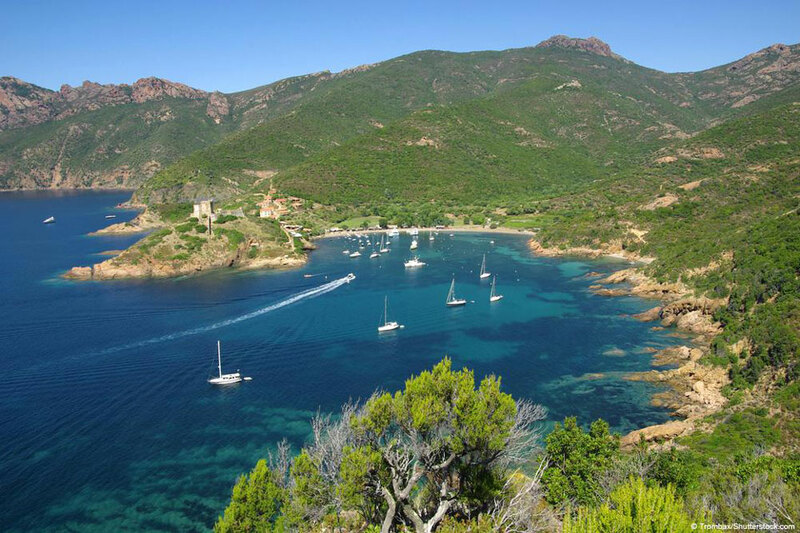 Boating in France can’t be complete without visiting its biggest island of Corsica. Although French, its residents still proudly prefer to call themselves Corsicans – and this is the essence of the local culture. We recommend you to fly 2 courtesy flags on your yachts – the French and the Corsican. If you have never been to Corsica, there is a high possibility that the island will absolutely blow you away. Amazing scenery, local food markets where you will end up buy as much as you can carry, and a chance of spotting dolphins and whales in the Corsican waters. We recommend you to start your voyage from the island’s southern tip and choose to sail along the western coast as being more picturesque. 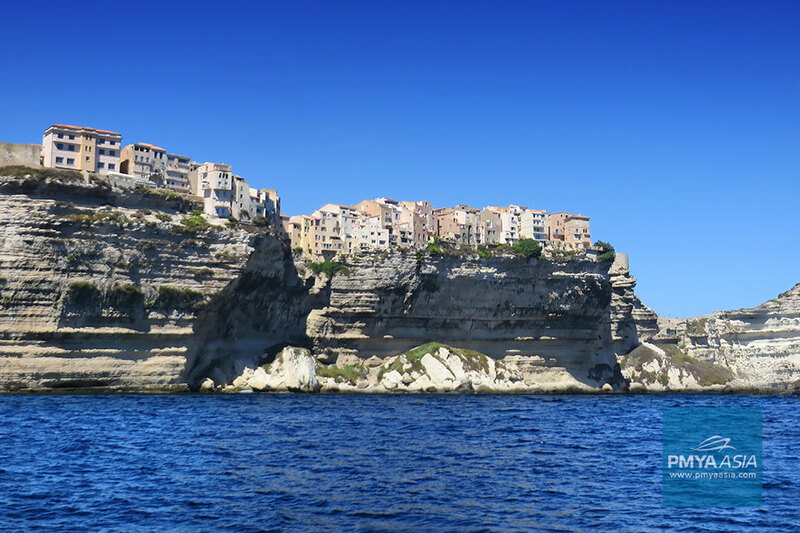 The magical town of Bonifacio will probably be your 1st stop and definitely the most memorable one! Approaching the port from the south the 1st thing you see is the ancient buildings on the edge of the chalk white cliffs as if they had been carved from them. And this is something to admire! Entering the long and narrow channel to Port of Bonifacio Marina (+33 495 73 10 07; VHF channel 09; www.port-bonifacio.fr, port.bonifacio@wanadoo.fr) with the cliffs and impressive yachts on both sides is another experience. This lively marina boasts a very cosy location with a stunning view of the medieval fortress on the high rock. The “Haute-Ville” (or Upper Town) hidden inside the fortress is built on a limestone peninsula 1,500 metres long, and 200 metres wide. With the most of the town’s historical buildings, narrow streets, and staggering sea views from the restaurants serving only local wine it is definitely the place to see. The bay of Girolata on the Corsica’s west coast is a treasure sought after by the thousands but reached by the few. This little village is only accessible by boat. And it guarantees a long-awaited seclusion in the hot tourist season of July and August. That being said, keep in mind that the number of moorings in the bay is limited too. Our customers always fall in love with Girolata’s village feel. It is an absolutely simple place with no cars or roads but a handful of great restaurants serving you up to a 5-star level. We recommend you to try the local Scandola lobster – definitely a winner! There are only 3 restaurants in Girolata, but all of them serve great food and wine. The blue water bay surrounded by red rocks up to 300 meters high is very calm and perfect for stand up paddle boarding or snorkeling. 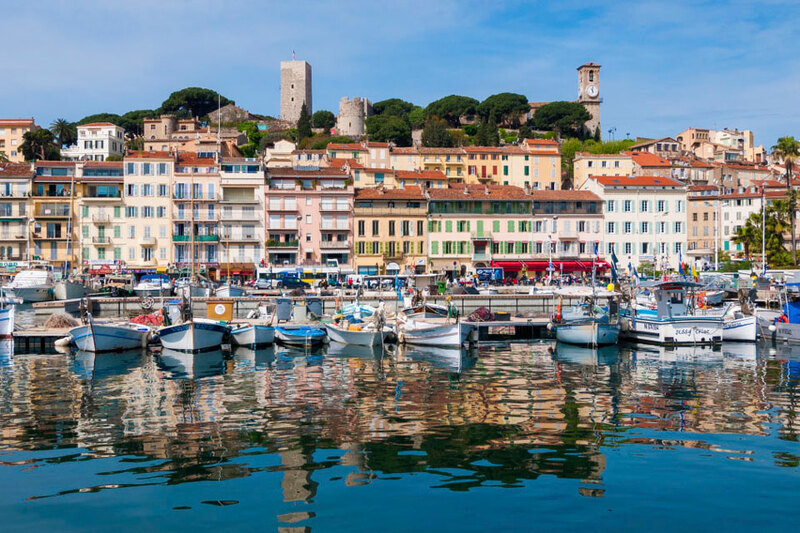 It is a picture-perfect town on the French mainland, right on the border with Italy. You will love the beauty of its colourful old buildings facing the port and its narrow and shady streets. 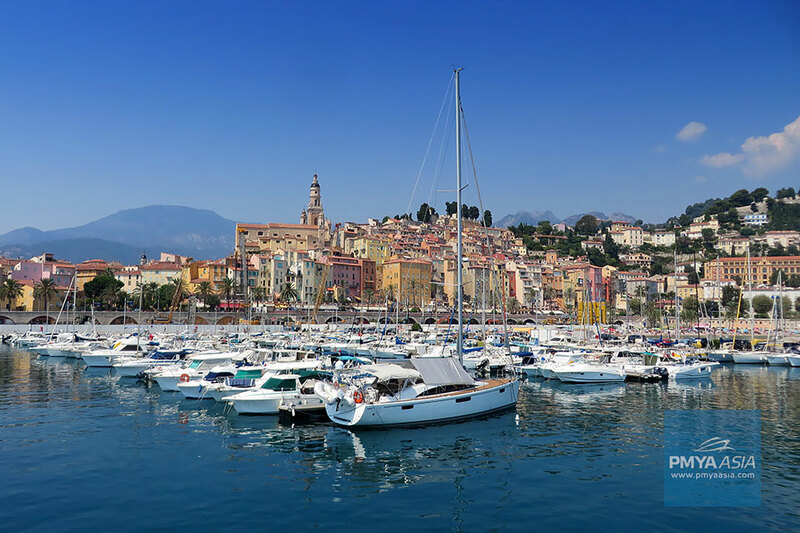 Just like the rest of the Mediterranean region, Menton may be quite busy with tourists in the end of the summer, as well as with boats. So we recommend you to pre-book a berth. 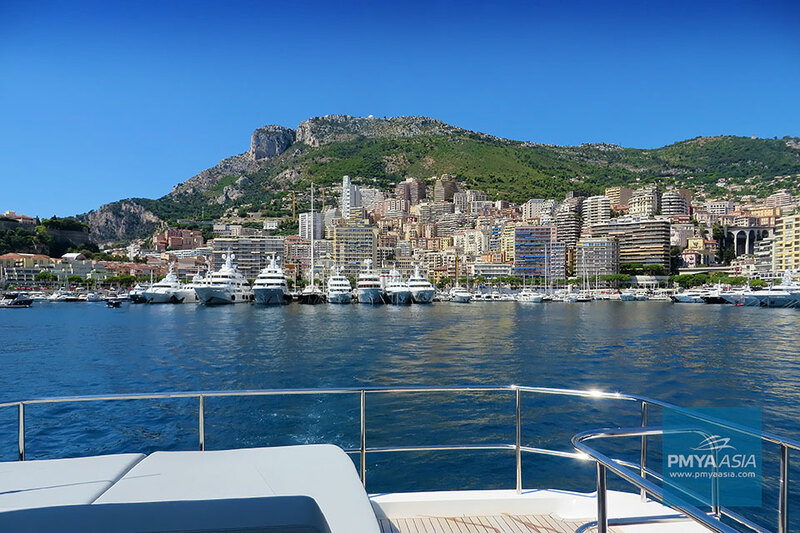 Isn’t it amazing how the 2nd smallest country in the world occupying as little as 2.8 square kilometres, can embody luxury and glam so much like Monaco? This city-state is the place to see and be seen! Monaco is naturally quite busy with tourists and boats in the summer months. This is why you will need to pre-book a berth, and better in the state’s best-located marina – Port de Hercules. It is well sheltered and offers 30 guest berths that are very reasonably priced. +377 97 77 30 00; VHF channel 12; www.ports-monaco.com. Every May, Port de Hercules becomes the most desirable place to be on a yacht. It offers ones of the best views on the Formula 1 Grand Prix, the most prestigious automobile race in the world. Berth bookings have to be done very much in advance. And in September Port de Hercules gets packed with luxury superyachts again – this time for the annual Monaco Yacht Show. 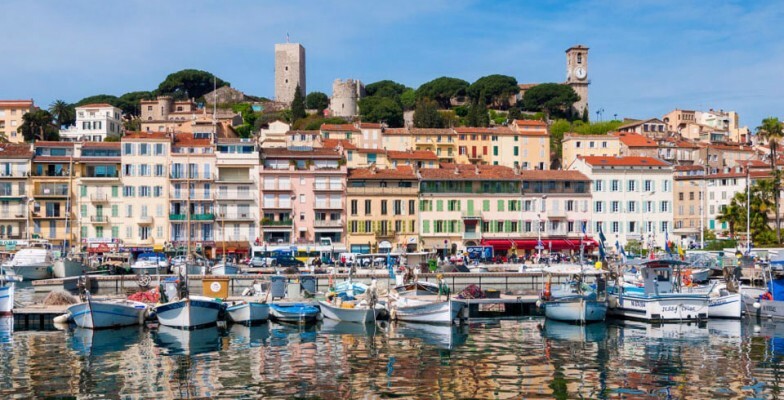 Cannes is probably the first city that comes to one’s mind when thinking of the French Riviera. Consider starting your trip early, let’s say in May if you want to visit the famous Cannes Film Festival. Followed by Monaco Grand Prix. Port de Cannes (or Vieux Port) is the place to berth your yacht. Very close to Cannes’ downtown, the famous Palais des Festivals et des Congrès (where the Cannes Film Festival is held), and Boulevard de la Croisette. This world-famous promenade stretches along the shore of the Mediterranean Sea for about 2 kilometres long – enough for a lovely evening walk stopping for a drink or two at the prestigious Carlton hotel followed by the dinner there or in one of the numerous restaurants nearby. In the early September Port de Cannes can hardly accommodate any visitors at all, as it gets very busy for Cannes Boat Show considered the largest boat show in Europe. So, it is a good chance to come back to this city of rich and famous.